And if you go through the ExactTarget, 42% of marketers rarely or can say never use mobile responsive design. This means they’re potentially losing the golden chance to reach over almost half of the email subscribers. 42% said emails indirectly impacted their business. 42% said email was a critical enabler of their products or services. 16% said that email was directly linked to their primary marketing source. 20% said emails indirectly impacted their business. 60% said email was a critical enabler of their products or services. 20% said that email was directly linked to their primary marketing source. According to the 2015 State of Marketing report, it’s mobile opt-ins that are actually the no. 1 most effective campaign. While newsletters and promotional emails are the two most used email campaigns, and 66% of marketers said that newsletters are very effective, 76% stated the same for mobile opt-ins. 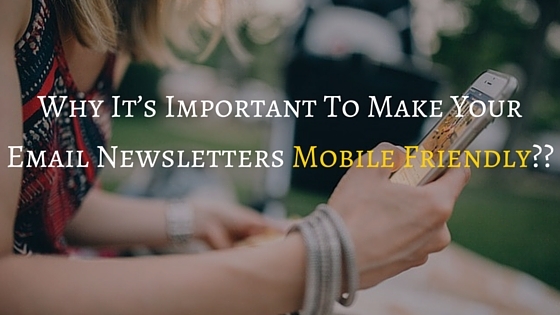 Why Optimize Email Newsletters For Mobile Devices?? I don’t think seeing all these stats still you would like to ask this question. But me let me tell you if you’re sending your email newsletters that are optimized it’s likely you are increasing the no of readers on iPhone, tablet and similar. When Campaign Monitor last surveyed email client popularity in 2011, it was found that almost 20% of email opens on a mobile device, which is dramatic rise from a 4% of the market when the survey last ran in 2009, where iOS devices accounted for over 90% of these reported opens. If you’re not tracking the devices which your subscribers are using to read out your emails, or not yet planned to optimize your emails for mobile devices then you’re very close to losing out it. A bad user experience means no action , no response or can say no ROI. 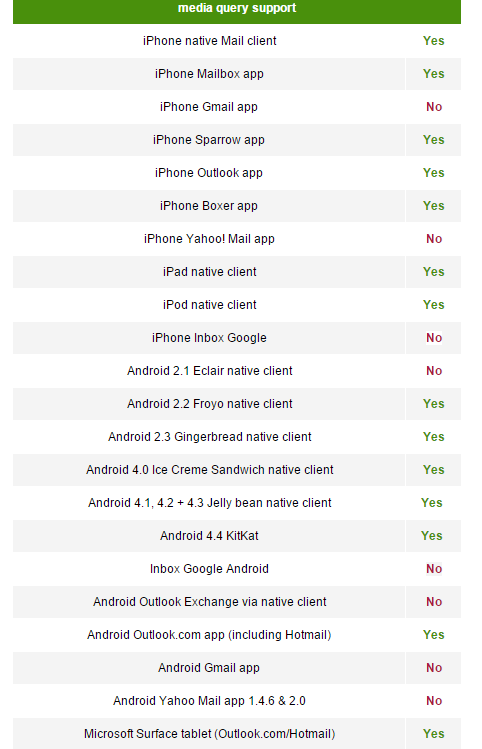 Here is a chart by Style Campaign that will help you out in monitoring the devices used to read emails most. So, from the above data it must be clear in your mind now that how much an email needed to be optimized. Remember your customers are as busy as you are, and they always don’t have the time to open their laptop and check your emails. Email Newsletters are the best way to remain attached with your customers and let them remember you. So make your newsletter that much comfortable for them so that they can know you any time any way and any where they want. Re size images in proportion of screen. Increase the size links along with CTA buttons. Invest in responsive email template.